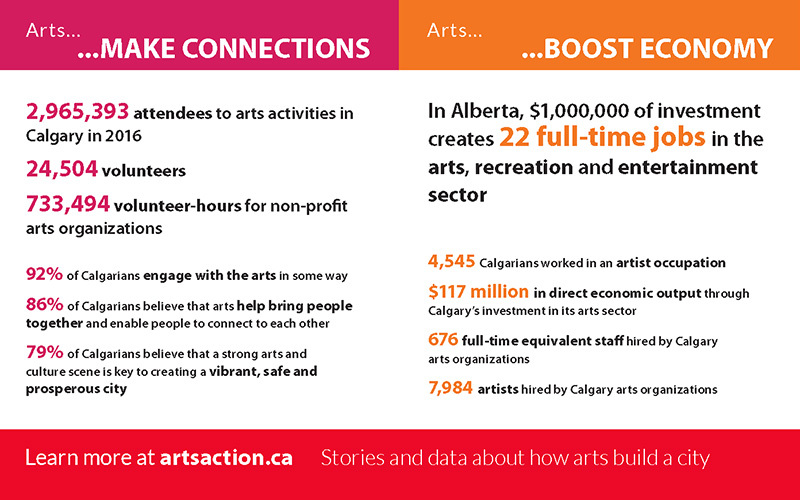 How do arts help build a city? Large-scale and small, traditional and cutting-edge, amateur and professional, once-in-a-lifetime and part of daily life—all of these aspects combine into a vital arts ecosystem that helps a city thrive. 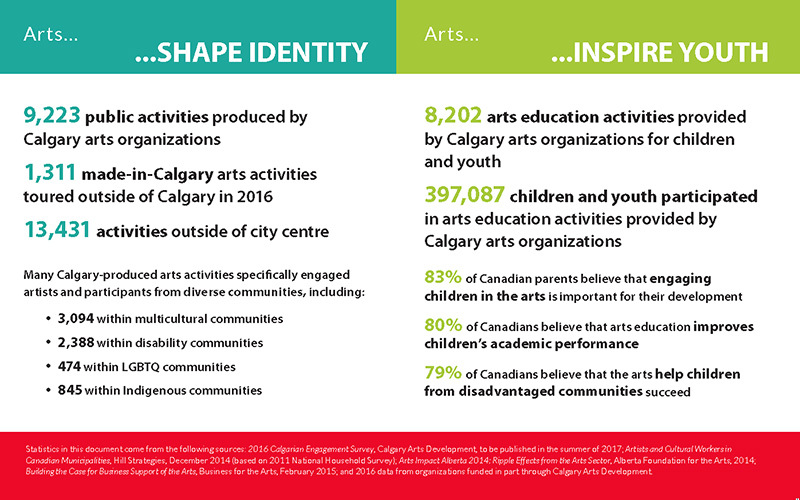 At Calgary Arts Development, we believe that arts build our city by making connections, boosting the economy, shaping identity, and inspiring youth. This year, we wanted to provide a snapshot of all of these benefits in action. 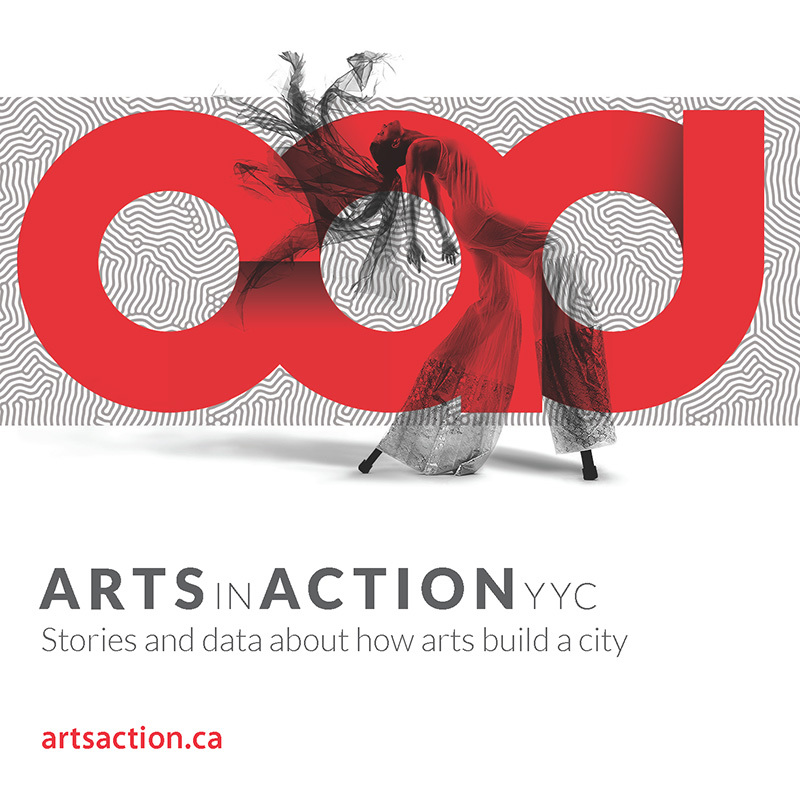 For each area, you’ll find data that captures how Calgarians are currently engaging with the arts, as well as a few representative stories (which were difficult to select—there are hundreds to choose from). We’ll share updated data and new stories annually. Where you’re looking for information or inspiration, we hope you’ll find it here. More importantly, in the 364 days between updates, we hope you’ll recognize the many ways that arts build our city and celebrate the presence that arts have in our own life. 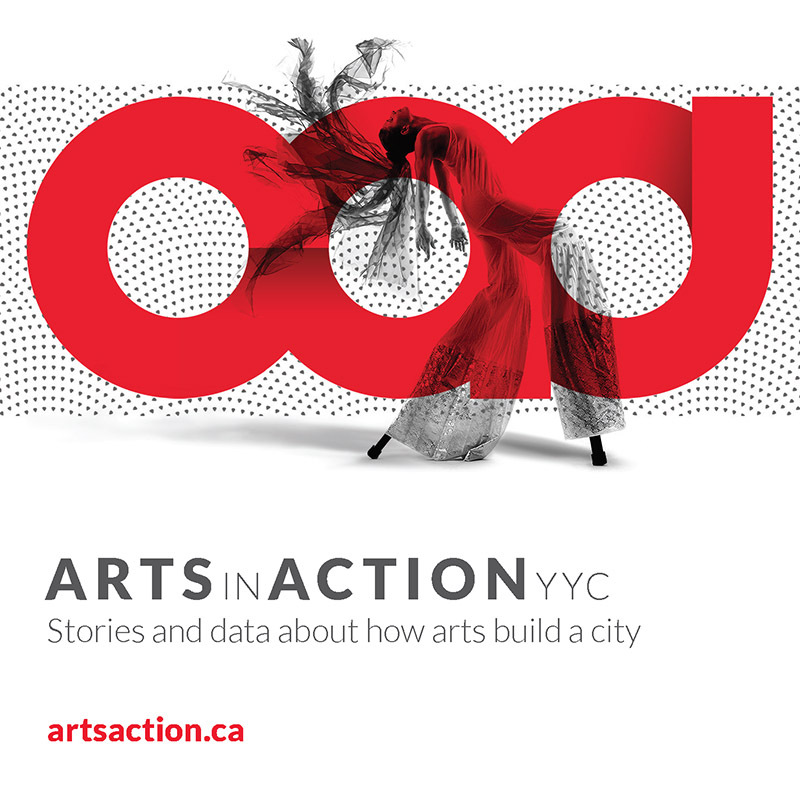 For current stories and data, visit artsaction.ca.